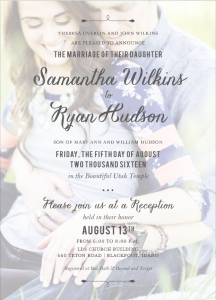 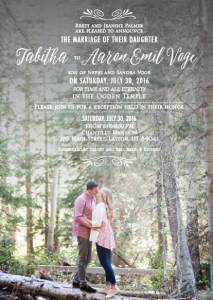 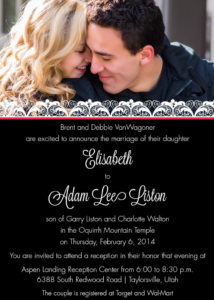 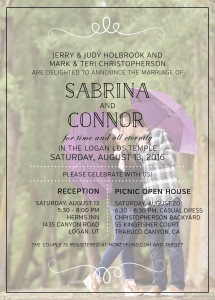 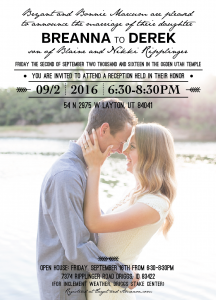 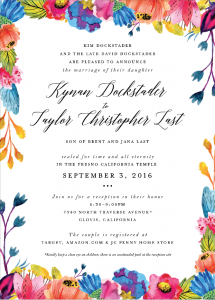 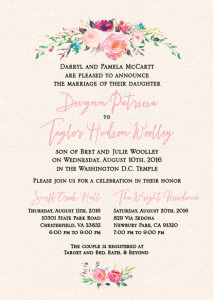 When you need wedding invitations that are affordable without looking cheap, come to The Invitation Maker! 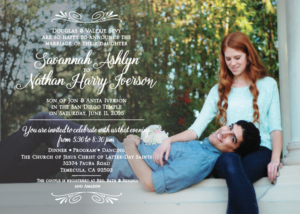 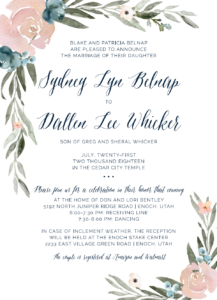 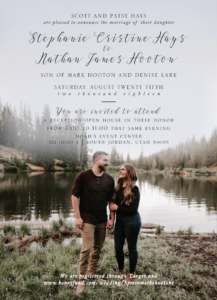 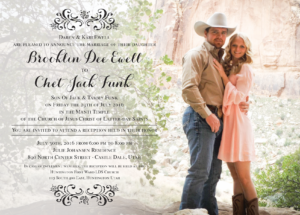 At The Invitation Maker we are proud to offer great prices and a variety of cost saving options on all of our wedding announcements, envelopes, thank you cards, and inserts. 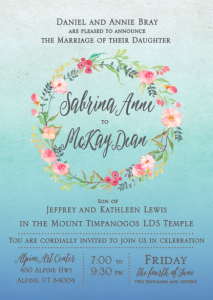 With our packages you can customize your designs, graphics and colors to match your wedding styles. 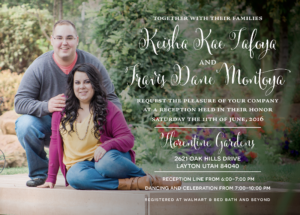 Choose a complete package or an a la carte selection of the pieces you need to save money on the options that are less important to you. 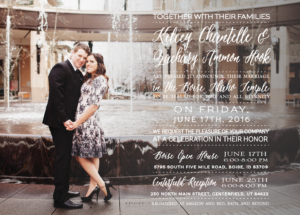 You can save on shipping by planning ahead and selecting a slower, cheaper shipping method. 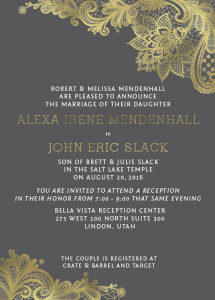 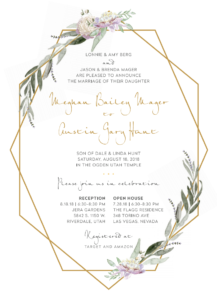 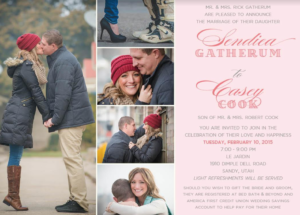 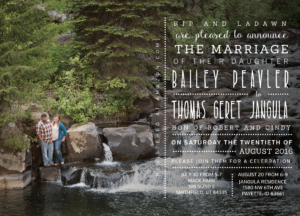 The Invitation Maker process is simple! 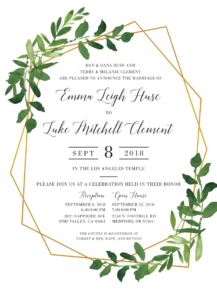 First, look over our past examples of real invitation designs to get inspiration and find the exact styles you are interested in. 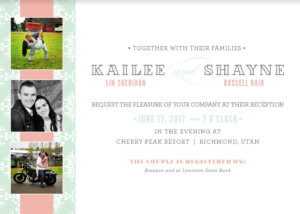 Next, you’ll work personally with one of our friendly designers to get custom invitations tailored to your specifications and taste. 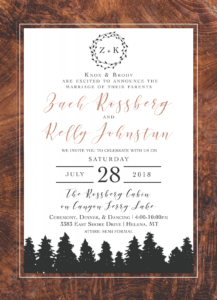 Once you and your designer have come up with a perfect design, you’ll choose your add-ons and specify if you want a certain paper type for printing. 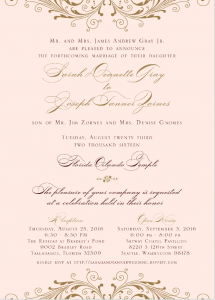 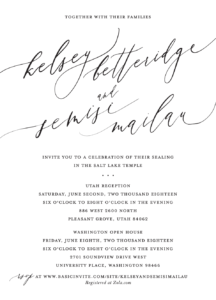 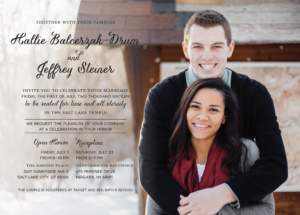 Printing turnaround is usually less than a week and then your invitations will ship. 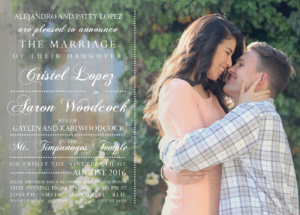 You can pick expedited shipping if you need them fast or select a slower shipping option to save cash. 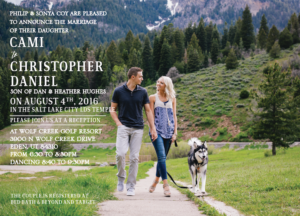 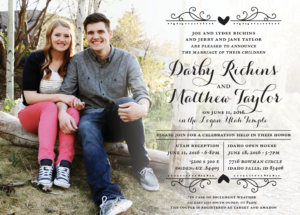 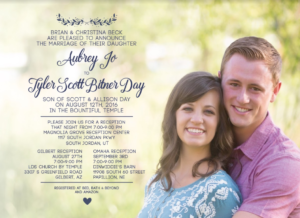 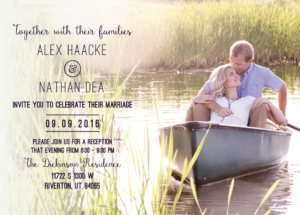 Are you ready to get started on your gorgeous yet cheap wedding announcements? 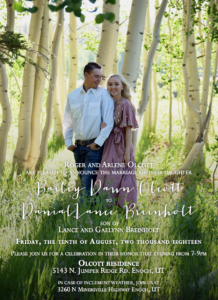 Look over our FAQ to get answers to your questions or browse examples from other brides who we have recently worked with.